PennsylvAsia: English/Korean Language Social Hour September 13 at Pitt; English/Japanese on September 27. 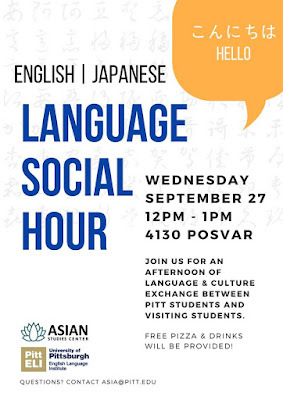 English/Korean Language Social Hour September 13 at Pitt; English/Japanese on September 27. 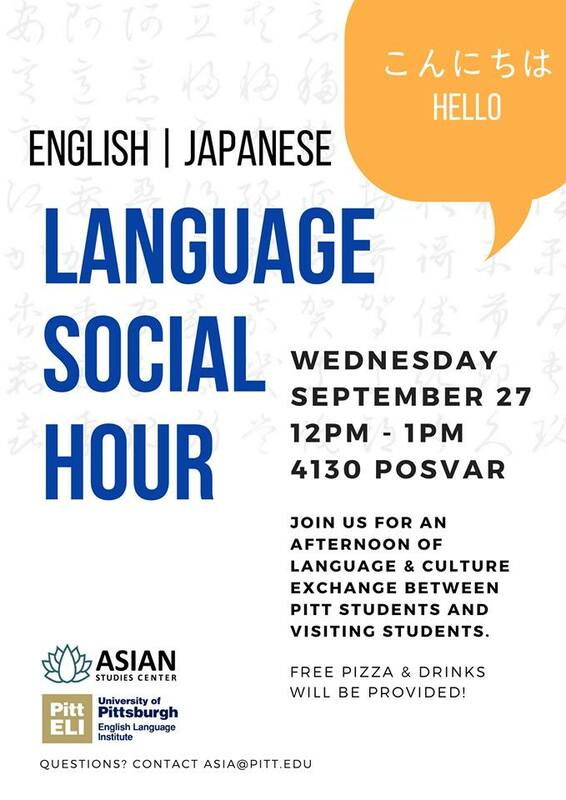 The University of Pittsburgh's Asian Studies Center and the English Language Institute will present two Language Social Hours in September that bring together Japanese- and Korean-speaking students studying English and for Pitt students learning Japanese and Korean. The English/Korean Language Social Hour will take place on September 13 from 12:00 to 1:00 pm in 4130 Posvar Hall (map), and will feature ELI students from Chosun University (조선대학교) in Gwangju, South Korea. The English/Japanese hour on September 27 will feature students from Yasuda Women's University (安田女子大学) in Hiroshima, Japan. Refreshments will be provided, and both events are free and open to the public.